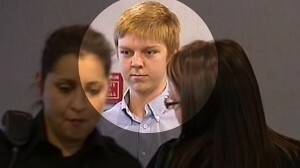 Poor little rich boy Ethan Couch is back in the news again. You may recall the horrible case last year in which the boy from a wealthy family was prosecuted for drunkenly mowing down and killing pedestrians while flinging two of the passengers from his truck. Using the “affluenza” defense, it was said that young Ethan could not be sent to jail for his actions because he was just too darned rich to be punished. An attempt a couple of months later to prosecute him for a related crime reaped no better results, and punishment that included time behind bars was still not forthcoming. So…in a month with 30 days, the cost of Ethan’s stay would be $22,500. Subtract Mama and Papa Couch’s contribution of $1,170. And someone is left with a tab of $21,330 per month. If Ethan is “rehabbed” for a year, based on this estimate, the tab would be $255,960. There is no word yet on who will be responsible for a bill that could potentially exceed a quarter of a million dollars, but I think we can all guess that the taxpayers are a likely choice. I don’t know about you, but I’m not too delighted to see our tax dollars go to support this little hoodlum in designer clothes. I’d much rather see those payments go to the families who lost loved ones due to Ethan’s drunken antics. At this point, the continuing debacle can no longer be laid solely at the feet of Ethan or his parents. This series of outrages now rests firmly on the shoulders of the so-called “justice” system.